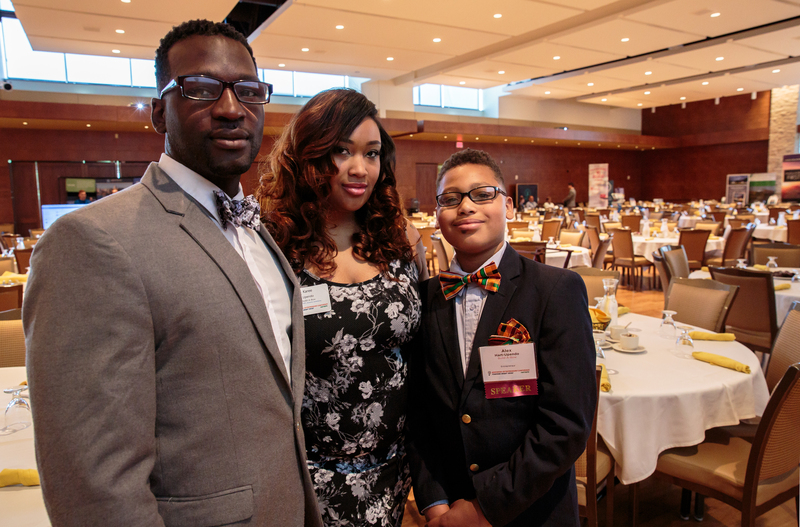 Alex Hart-Upendo, a 5th grader at Gifford Elementary School in Racine who has made a splash in national news media, is the grand prize winner in Wisconsin YES!, a statewide youth business plan contest for students in middle and high school. Hart-Upendo’s company, Build-A-Bow, is a custom eco-friendly bow retailer specializing in bow ties, hair bows and bow ties for dogs. Hart-Upendo founded Build-A-Bow when he was just nine years old. In addition to starting his business, Hart-Upendo is the author of “Bullies, Bowties and Brilliant Alex.” Written at only nine years old and published in 2016, Hart-Upendo wrote the book to encourage the inner entrepreneur in children, while bringing awareness to bullying. Hart-Upendo has been featured in Forbes and GQ magazines and received attention from Ellen Degeneres, Steve Harvey, Harry Connick Jr. and ABC’s Shark Tank. Hart-Upendo will present his winning idea June 6 at the Wisconsin Entrepreneurs’ Conference in Madison during the awards luncheon for the Governor’s Business Plan Contest. To register for the two-day conference, visit www.witrepsconference.com. Students submitted their ideas in a 250-word online summary to compete in Phase 1 of the contest. Professionals from across the state served as judges, provided feedback and scored the ideas. About two-dozen entries were selected to move on to Phase 2, where they submitted 1,000-word executive summaries covering company overview; product or service description; customer definition; market description, size and sales strategy; competition; management team; financials; and capital needs. Second place was awarded to Noah Doble of Brookfield Academy for his entry Protein Bean, a nutritious, quick-service cafe in which customers can create their own protein- and coffee-infused drinks. Rahul Mullickof University School of Milwaukee was awarded third place with his entry, Probiotic Infant Foods, a baby food line fortified with probiotic strains to improve infant health. The Wisconsin YES! contest is produced by the Wisconsin Technology Council. Major support is provided by WEA Trust, Intrepid Charitable Partners, The Boldt Company, UW-Madison Office of Corporate Relations, and the Wisconsin Technical College System. Contest partners include the Department of Financial Institutions, Department of Public Instruction, the Association of Wisconsin School Administrators, Make a Difference Wisconsin, Project Lead the Way Wisconsin, STEM Forward, Wisconsin Association of School Boards, Wisconsin Society of Science Teachers and Wisconsin Association of School Business Officials. Modeled after the successful Governor’s Business Plan Contest, Wisconsin YES! is designed to teach students how innovation in science and technology fields can be developed into plausible business plans. It is an opportunity for students to explore the connections between science, technology and entrepreneurship, and for educators and judges to cultivate an interest in these arenas. Visit www.wisconsinyes.com to learn more.